We can preload your Branded USB Flash Drives with any data of your choosing. Many of our customers choose to preload Brochures, Presentations, PDF documents, Music or Video files. But how do you ensure that your data won’t be deleted by the recipient of your Branded USB Flash Drive? 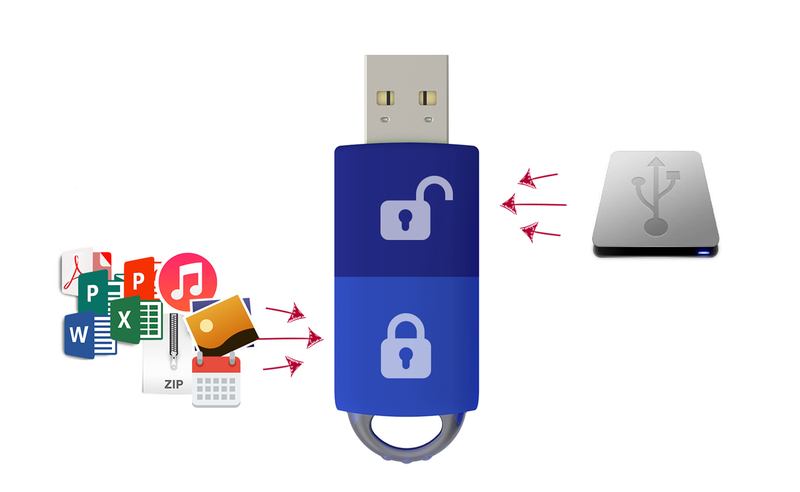 This post is all about our File Lock / Dual Zone Service and how it can ensure your data stays on your Branded USB Flash Drives. File Lock / Dual Zone essentially divides the Flash Drive into two sections. The first section is what is called the CD Rom Zone. This acts as a ‘Read Only’ partition of the drive and is where your preloaded documents are stored. As the name suggests, the only access a user will have for the data in this section is ‘Read Only’. They cannot delete or edit your data. The second section is called the ‘Flash Drive Zone’. This section of the USB Flash Drive allows user to add, edit and remove any data held there. Many of our customers opt to pair our Data Preloading Service with our File Lock / Dual Zone Service. This ensures that your brand message stays with the end recipient every time they use the Branded USB Flash Drive. Every Marketers dream! Fill out our Quick Quote Form and one of our dedicated Account Managers will be in touch as soon as possible.